Fair glowing and healthy skin is a natural desire of everyone. Many factors contribute to this appearance, such as adequate nourishment, hydration, your life style, proper sleep and exercise and finally sun protection. However your diet plays the most important role for achieving this goal. Here we have a collection of top ten best foods that nourish your skin with all essential nutrients which are required to get fair and glowing skin. Try to include them in your daily diet plan and see the difference within few days. Almonds are considered very effective for skin whitening.Almonds are rich in Vitamin E, which protects skin from UV rays, wrinkles, anti aging and helps to build collagen. It also contains omega 6 and omega 9 fatty acids; it helps to maintain skin elasticity and brings natural glow. Soak 5-7 almonds overnight and next day peel them off and consume them on an empty stomach. You can also make a paste of almonds and directly apply on your skin for 15-20 minutes. Regular application will show you excellent result within few days. Regular consumption of an apple along with skin is highly beneficial to get fair glowing and blemish free skin. Apple contains a good amount of anti-oxidants which prevent signs of ageing like wrinkles, fine lines and skin blemishes and keeps your skin firm and glowing. You can massage your skin with apple juice or pulp. Skin friendly nutrients in apple gently remove dead skin cells without damaging skin layers and promote the growth of new and smooth skin cells. In addition, these skin skin friendly nutrients help to remove acne scars, reduce age spots, improve skin tone, and also enhance skin elasticity preventing premature skin wrinkles and fine lines. Broccoli contains a good amount of antioxidants, including vitamins A, C and E. Vitamin A in broccoli helps to reduce wrinkles, fade brown spots, smooth skin roughness and helps a lot to get an even skin tone. Vitamin C helps in collagen production and keeps your skin soft, supple and healthy. In addition, vitamin C also helps to improve skin elasticity and create a natural glow on your face. Vitamin E protects your skin cell membranes and guards against UV radiation damage. Vitamin E also fight against skin damaging free radicals and prevents from early wrinkles, fine lines and age spots. Lemon is a rich source of powerful anti-oxidant Vitamin C that helps a lot to maintain skin elasticity by fighting against skin damaging cells and prevents the formation of skin wrinkles and fine lines. Regular drinking of a glass of water by adding 1 tablespoon of lemon juice on an empty stomach not only help to burn excess fat cells but also helps to bring natural fairness on your face. In addition, you can sprinkle some lemon juice on your regular salad and can also get the skin bleaching benefits of lemon juice by using lemon juice as a skin lightening face pack. Kiwi fruit is a rich source of Vitamin C that helps a lot to brighten your complexion. Vitamin E in kiwi fruit help in regeneration of new skin cells, thus helps in making the skin flexible and youthful. In addition, it contains many important nutrients which are essential for fair glowing and healthy skin. Kiwi fruit reduces the production of skin darkening melanin pigment and naturally helps a lot to get fair and glowing skin. Orange contain a good amount of anti-oxidants which prevents premature wrinkles and fine lines. Oranges not only help the skin look brighter but also help to get flawless skin. Orange juice can be used as skin mask to remove acne scars and skin deep blackheads. Pomegranate contains a good amount of anti oxidants that fight against skin damaging free radicals and prevents from premature wrinkles. Pomegranate help to get flawless and glowing pink skin. You can always drink a glass of pomegranate juice every day to maintain naturally glowing and healthy skin. Papaya is rich in Vitamin C, A, E. All of these vitamins are very important to get fair glowing skin. Due to its wonderful skin benefits, papaya pulp has been using for centuries to cure many skin problems including darkening of skin, acne scars and premature wrinkles. Papaya pulp can be consumed directly or used as a mask to get fair complexion. Strawberries contains high amount of Vitamin C per serving than oranges or grapefruit with low calories. Vitamin C has an important role in collagen and skin elasticity and enhances fairness. Strawberries also contain alpha hydroxy acid, which helps to eliminate dead skin cells and build new skin cells. Tomato also help to get bright and supple skin. Antioxidant present in tomato help to remove acne scars and wrinkle lines on the skin. This red vegetable is a rich source of lycopene that protects the skin from UV Skin damage. (i)Avoid over consumption of any food that may cause side effects. (ii)Avoid direct exposure to UV Sun rays. Before going out don't forget to apply a good sunscreen. 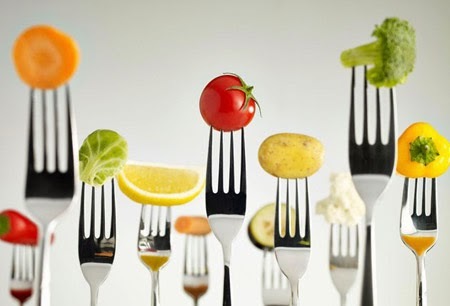 (iii)Avoid over consumption of junk or processed foods, replace them with fresh fruits and vegetables. (iv)Drink daily 8-10 glasses of water. Its helps to prevent dehydration and flush out toxins from your body. (v)Adopt a habit of regular exercise as exercise increase your blood flow towards all body cells and help to get rosy pink complexion.